Kunzeas ( Kunzea species, MYRTACEAE ). 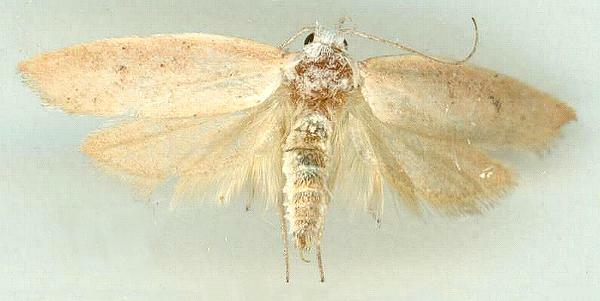 The adult moths are pale brown with a slight speckling of black and grey dots on each of wing. 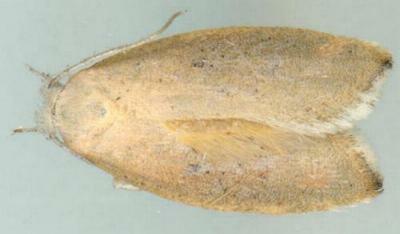 Some specimens have broken dark brown flashes on the forewings. The wingspan is about 1.5 cms. CSIRO Publishing, Melbourne 1994, pp. 95, 111, 112. Part 29, British Museum, 1864, p. 766.